Doctor Who has been a British institution for fifty years, enthralling generations of fans. 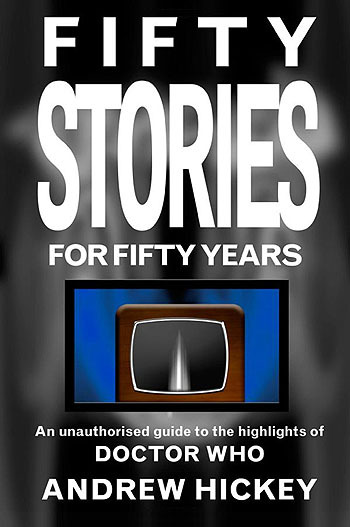 In this book, Andrew Hickey takes a personal critical look at one story from every one of those fifty years, starting with the very first story, An Unearthly Child, and ending with 2012's The Snowmen, and looking not just at Tv stories, but at the books, audio adventures, films and comics that are also part of the Doctor Who story. In doing so, he tries to find those threads that are common to the series, and discover what it is that has made the series last so long, and what the prospects are for the next fifty years.